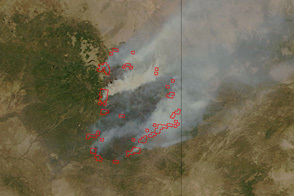 Though the Wallow Fire in the White Mountains of eastern Arizona is not yet fully out, the time to assess and recover has already begun via satellite imagery. 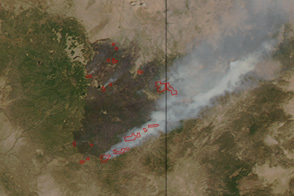 This image shows the extent of Arizona’s Wallow Fire on June 15, 2011. 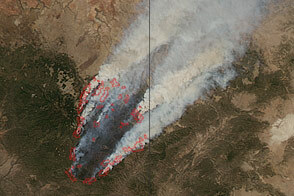 Only 10 percent contained, Arizona’s Wallow Fire became the largest fire in the state history on June 13 when this image was taken. 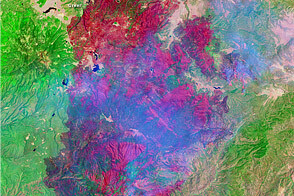 This image and animation, taken on June 7, provide nine perspectives on the Wallow Fire in eastern Arizona. 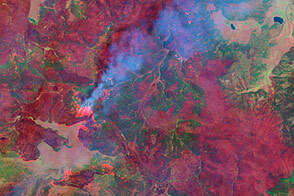 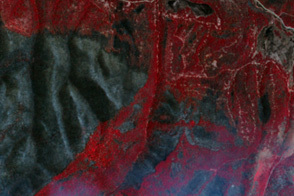 This false-color image taken by the Landsat-7 satellite on June 7, shows how completely the Wallow Fire is burning the forest in the mountains of eastern Arizona. 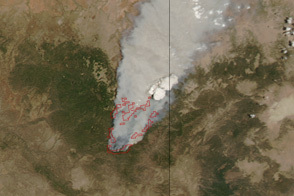 Smoke billows from the Wallow Fire in this natural color image taken on June 8, 2011. 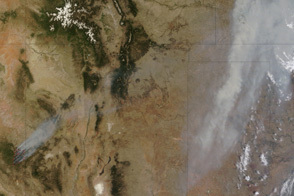 Acquired June 7, 2011, this natural-color image shows the Wallow Fire burning in Arizona, and smoke hovering over Kansas. 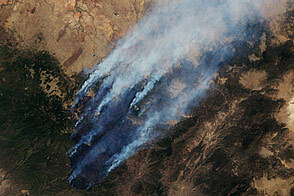 This pair of images shows the vast extent of the Wallow Fire, burning in eastern Arizona, on June 6, 2011. 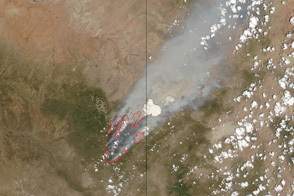 Dense smoke billows from a massive wildfire—the Wallow Fire—in eastern Arizona in this photo-like image from June 4, 2011.